Very few pieces of technology from the 1970s are still in use today — and for good reason — think floppy discs and VCRs. Until recently, however, medium voltage switchgear designs had changed only minimally over the past 50 years. Now, advancements in urbanization and the growth of industry have made legacy switchgear models as useful as the pet rock. It’s going to take a different type of switchgear to handle today’s modern facilities. We see common challenges with switchgear management — associated with old equipment — across our customers. Constrained capacity: Land cost isvery high in the densely populated regions where new substation or capacity addition is difficult. This is driving the demand for switchgear equipment with a smaller footprint in order to maximize available space. Cost management: Facility operations are under pressure to improve uptime while reducing both CAPEX project costs and recurring OPEX maintenance costs. Yet, they often lack the time, resources or budget to properly maintain equipment. Harsh environments: Applications such as marine, oil and gas and mining present a number of the environmental hazards such as humidity, dust and corrosion, that can damage switchgear. Mitigating these risks requires increased intervals for maintenance, which ultimately adds to the total cost of ownership (TCO). The answer to these challenges is gas-insulated switchgear (GIS). They provide a more reliable solution that’s immune to hazardous elements and requires less maintenance all within a smaller footprint, when compared to air-insulated switchgear (AIS). GIS technology has been used in other countries, particularly Europe, for decades but is only starting to take a foothold in North America, which has been dominated by AIS. 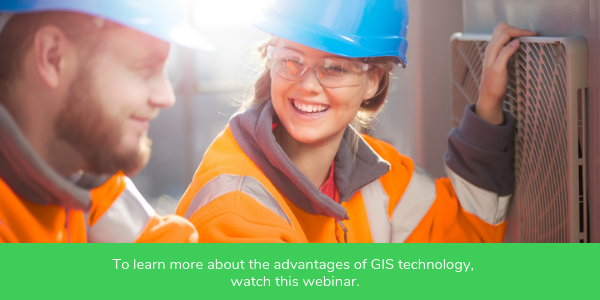 As facilities in North America face many of the same challenges as those across the world, they are making the switch to GIS to reap the same benefits. We are seeing a particular upsurge in implementation of GIS in data centers, where high reliability and minimum shutdown are mission critical to operations. To address this demand, Schneider Electric launched CBGS-0, our GIS for applications up to 38kV. The solution supports heavy industries such as waste and wastewater facilities, mining, data centers and traction substations. CBGS-0 reduces the switchgear footprint up to 50-75 percent when compared with the same rating for AIS. Similar to our other GIS offerings, no maintenance is required in the main compartment and the busbar system allows for seamless installation without any gas handling during installation, expansions or section replacement. This reduces TCO through longer maintenance cycles and greatly minimizes the potential environmental impact of sulfur hexafluoride (SF6) gas. As facilities become increasingly connected and more intelligent, so will switchgear design. CBGS-0, along with our full GIS line, are part of the connected products layer within Schneider Electric’s EcoStruxure platform, providing an end-to-end solution to monitor the health and performance of the equipment. With advancements in switchgear, we’ll start to see more “conditional-based monitoring” of equipment to provide early diagnostics and prevent failures before they occur. It’s an exciting time of growth and innovation in the GIS market and we look forward to sharing updates as we expand our portfolio in 2018 and beyond.